I delayed arranging damaged areas on my car repaired because it seemed so inconvenient. An advert by Chipsway prompted me to contact them. Their representative Stu called at my home and gave a quotation. It seemed a bit expensive but I accepted the quote. Considering the involved procedure and the time taken to affect the repairs ... Read more the cost was very reasonable. The car is now in prime condition and I can highly recommend their excellent service. Stu is a real professional and my thanks to him for an excellent job well done. Great work and service from stuart mable. Will use again. Can't fault anything, fantastic service from Stu and Nadine Mable. Car looks like brand new. The whole process from quote to repair was quick, easy and effortless. Highly recommend. Brilliant customer service and excellent finish on the job. Stu was extremely polite, helpful, efficient and arrived on time. Have already recommended Stu and ChipsAway to a colleague and wouldn't hesitate to recommend again. Brilliant service from Stu Mable in the Heathrow area. Turned up on time, did an excellent job and stuck to the time table and initial quote. I would not hesitate to use Chipsaway again in the future. Thank you! Stu did an excellent job. Very thorough. Extremely happy with the work. The Chips Away technician, Stu Mable arrived at the agreed time and done a wonderful paint job on my car. It looks as good as new! Thanks so much. Cannot express how professional Stu was and at the end job was excellent. Looks better than the rest of the car. Will certainly recommend him & ChipsAway. Great service and experience. Had my front bumper fixed by Stuart Marble after putting a pretty big scrape on it. The bumper looks amazing now, I would recommend Stuart to everyone. He was a Lovely guy and I would trust him will all my scratch repairs. I was very impressed by Stu Mable's service today. He fixed the scratch quickly and was very professional throughout. Stuart was punctual, efficient and did a fantastic job on my car. I am thrilled with the result. The price was very good. I would recommend this company (and Stuart in particular ) to anyone. What an amazing job by Stu on my car. Really appreciate it and thank you very much. Also a top top guy. Will definitely use again if needed. Great service again from Stuart Mable. Would recommend to anybody. Thank you Stu, for doing such an outstanding job on my car. I used ChipsAway Heathrow & Uxbridge, and found Stuart Mable very friendly and his workmanship is second to none. Like wise I found Nadine Mable's communication and professionalism fantastic. Another first class job from Stu Mable! He sorted out the scratches on my BMW which is now as good as new. 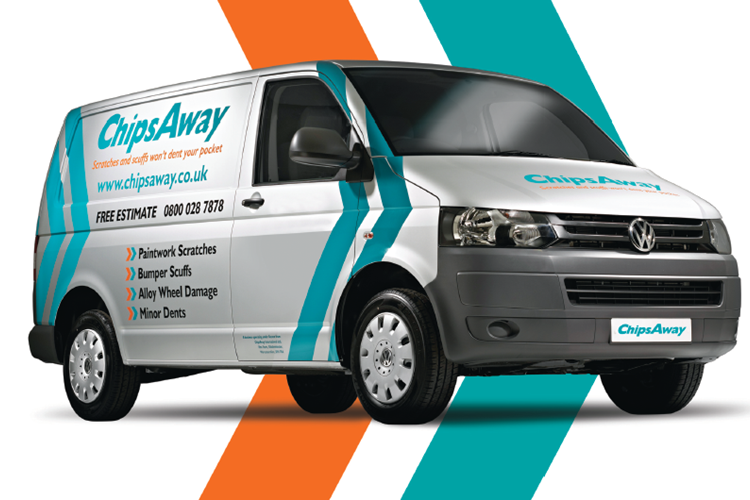 I'm delighted with the services of ChipsAway and appreciate the courtesy and professionalism that Stu demonstrates. He (and ChipsAway) are highly recommended! Professional outstanding service from Stu Mable. Scratches on the door are gone as new. Highly recommended! Stu Mable carried out an excellent repair on a few scratches on my car. Not only did he do an excellent and professional job, he arrived absolutely on time, was polite, courteous and very friendly. He is the sort of worker that any company should be proud of - indeed I would say he is a Chips Away Ambassador, and someone to be ... Read more congratulated not only on his work, but on his style and manner too.